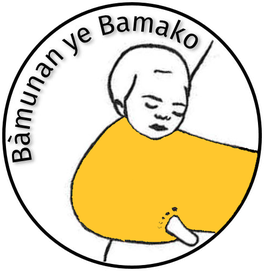 Bàmunan ye Bamako means ‘a baby-sling for Bamako’ in Bambara. Bambara is one of the most popular dialects and the national language of Mali, as well as the everyday language of the children in Bamako’s orphanage. Why ‘a baby-sling for Bamako’? Well, each Malian baby spends the first few months of their lives attached to their mother’s back. This allows them to experience the closeness, security and the warmth of their mother. Unfortunately, this is what the orphans miss the most. Although a mother’s love is irreplaceable, we want to nonetheless give them the love and care that they deserve.